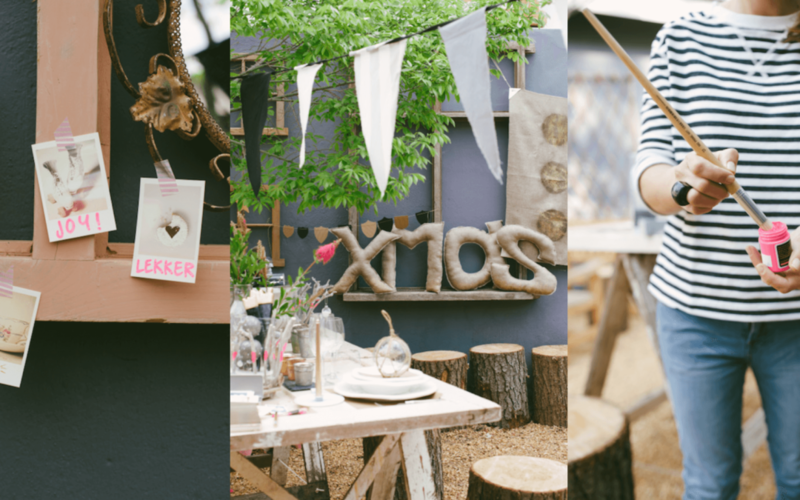 Take inspiration from your garden and make Christmas a TrenDIY outside affair. 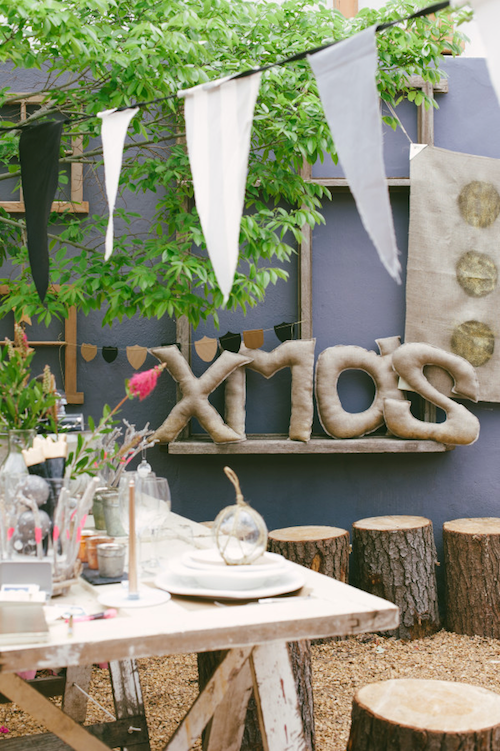 With these elegant yet simple ideas, your festive gathering will be one to remember for a long, long time. INSPIRATION: Crimson bottle brushes (Botanic name: Callistemon spp. The name is derived from the Greek words kallos, meaning beauty, and stemon, meaning stamen, describing the coloured stamens, the showy part of the flowers. Source http://www.burkesbackyard.com.au) will add a pop of perfect pink to your setting and natural elements like wood, stone, cement and glass pairs beautifully with the colour. Perk up ordinary glass bottles by covering the bottom quarter with twine. 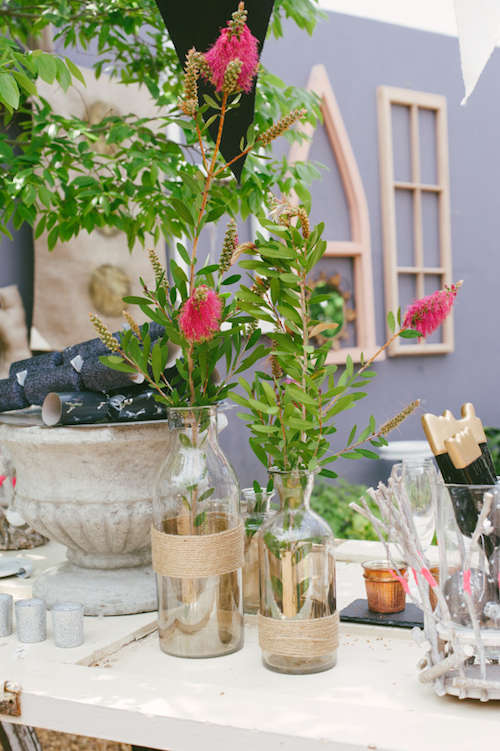 Use a large cement planter for Christmas decorations and crackers on the table. 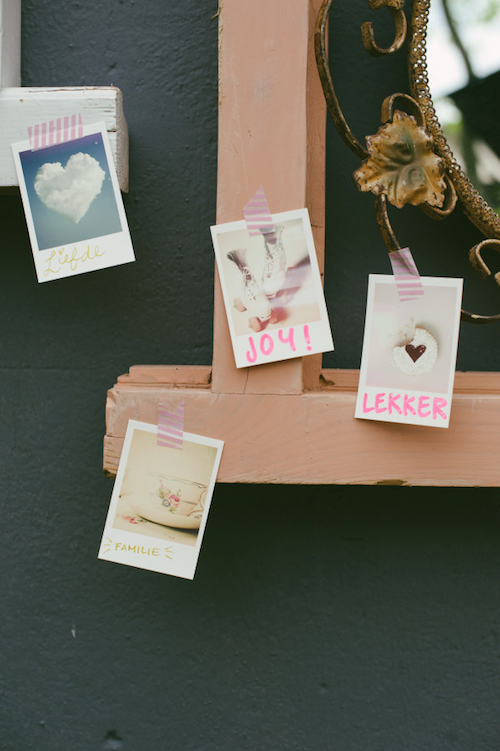 Make a memory book and write happy notes and wishes inside and collect and print pictures of the day and paste them inside the book – your own DIY album, Voila! 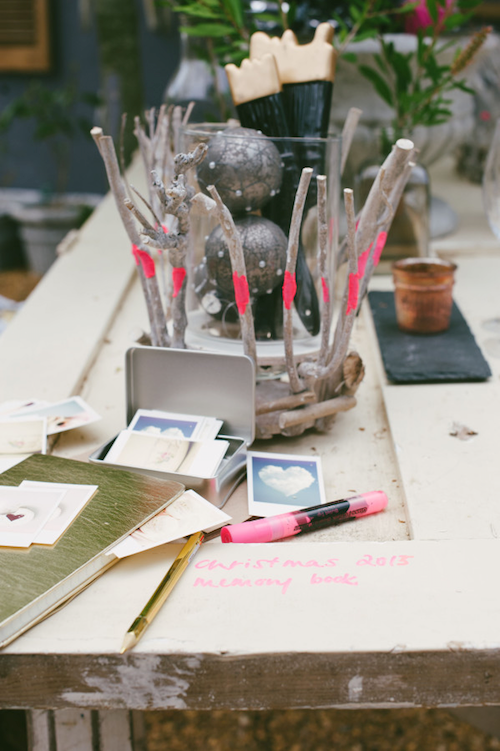 Make you your own nature inspired votives. 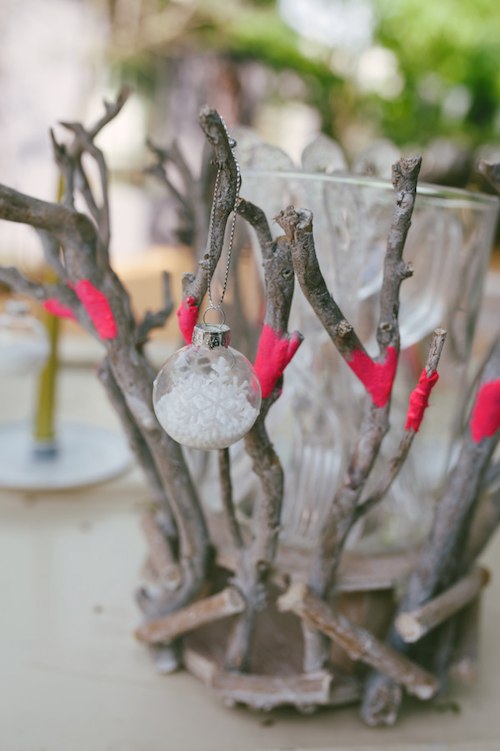 Collect twigs and arrange them around a glass jar. Glue them in position with a glue gun. 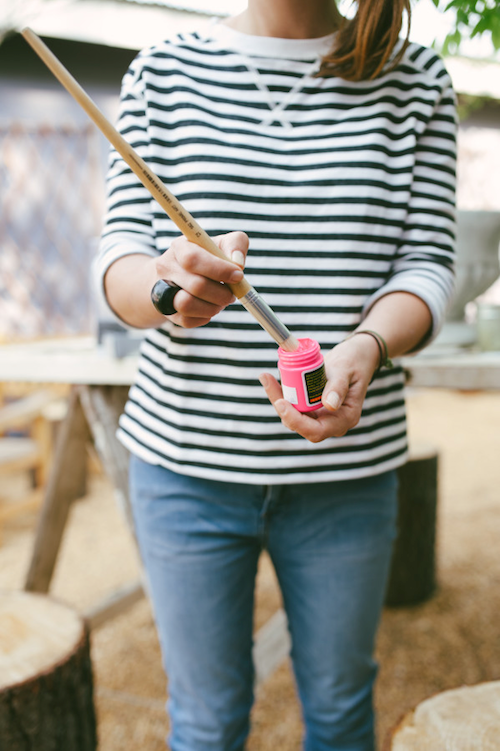 Paint hot pink dashes or stripes on the twigs, Dala craft paint R16.95 at TrenDIY.